According to John C. Langley, Professor of Supply Chain Management at Georgia Institute of Technology, Third Party Logistics Providers (3PLs) introduce efficiency and effectiveness into a company's operations, allowing shippers to conserve costs and resources, while also helping to provide higher service levels. 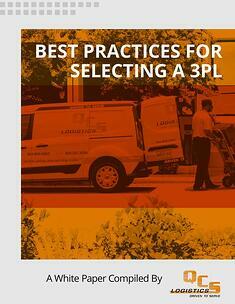 This White Paper helps companies understand how they can best leverage the advantages of 3PLs to focus on their operational strengths, producs and service. For over 30 years, QCS Logistics has been delivering solutions for the 3PL, transportation and logitsics industries. We help our clients go and grow – farther, faster, and better. Contact us for a free consultation on how QCS can get you to your destination and beyond.